← Scout Easter Camp 2014 – roll on next year!! Don’t forget – St George’s Day Parade – This Sunday!! 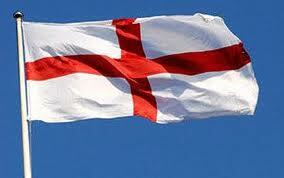 Just a reminder that the he annual St George’s Day parade will be in Twickenham this year on Sunday 27th April. As a group it is a key part of the scouting calendar and is something that all beavers, cubs and scouts should attend. We do expect all of our members to be there!! You must inform your leader if you cannot make it and explain why. Please make every effort to support the group by being there and in full uniform.